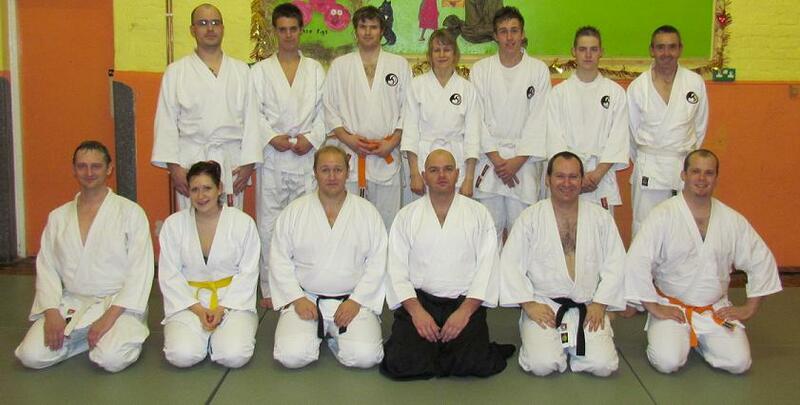 Last night, Genryukan students had the pleasure of aikido tuition from Neil Saunders Sensei. 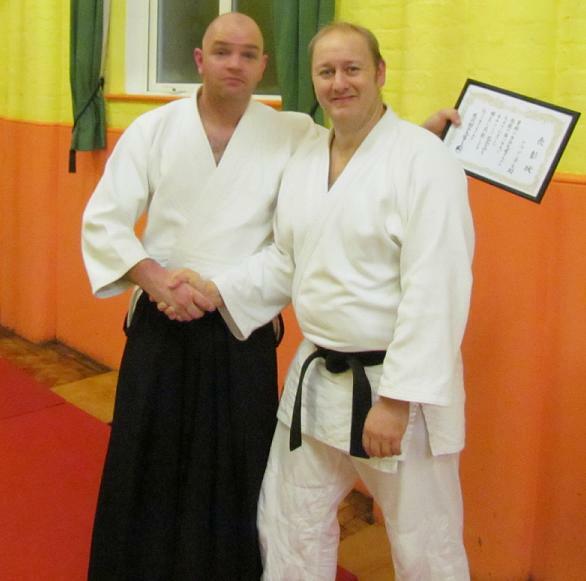 Neil has a 4th Dan in both Tomiki and Yoshinkan aikido styles, so has a wealth of experience to draw on. The club presented Neil with a Hyosho-Jo (certificate of appreciation) for all the help he has given us over the last year. A thoroughly enjoyable evening was had by all. Our thanks go to Neil Saunders, Mark Atkinson and Dave Clarke for coming down.